BEGINNINGS... Monastery Marcha was established as a women's monastery in 1975 by then Diocesan Bishop His Grace Bishop Dr. SAVA. In 1974 Mother Evpraksija and Mother Anna had arrived there. The site had been the Episcopal Headquarters of the Eastern American and Canadian Diocese which subsequently moved to Edgeworth, Pennsylvania. In 2001 the new monastery church was constructed with the Archpastoral Blessings of His Grace Bishop Dr. MITROPHAN. His Holiness Patriarch PAVLE with several concelebrating hierarchs and a large number of clergy were present for the consecration of the new church. 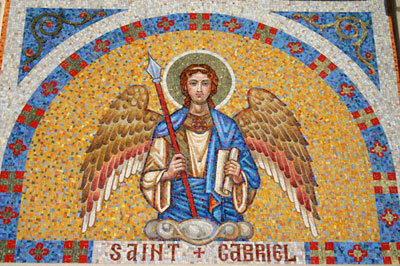 Monastery Marcha celebrates July 13/26, the Synaxis of the Holy Archangel Gabriel as the monastery Slava. Mother Anna (Radetic) was the first American-born Serbian Orthodox nun. Sister Georgiana (Zaremba) and Sister Antonia (Spanja) were the next two American born women to enter the monastic life at Monastery Marcha. Sister Anastasia became the third American born woman to enter monastic life through Monastery Marcha. Father Seraphim (Steve) entered monastic life at Monastery Marcha and is currently active caring for the grounds and making candles. 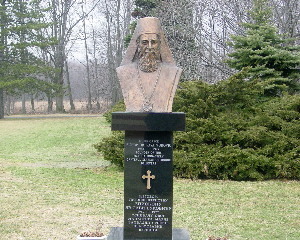 Father Simeon (Grozdanovich) initiated the making of candles and cared for the grounds during the initial years of the monastery's existence. BEGINNINGS... 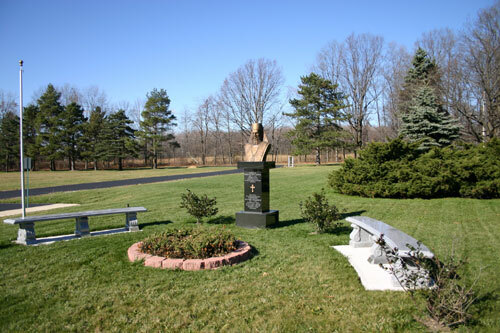 The Monastery of the Most Holy Mother of God Church is located at St. Sava Camp - Shadeland in Springboro, Pennsylvania. 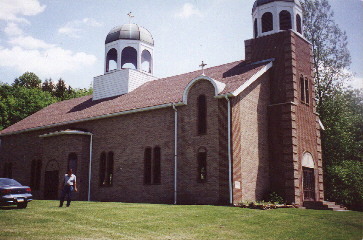 The church is a huge structure and is the site of the Hierarchical Divine Liturgy for the annual Shadeland Pilgrimage each year. 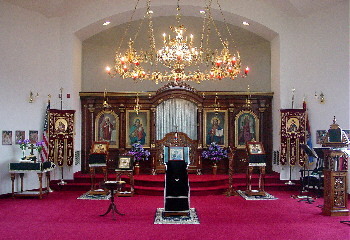 The monastery church also serves the needs of the campers during the camp season.